A treasure of Canadian letters, Miriam Toews has earned numerous awards. 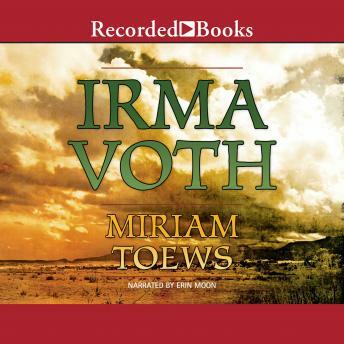 With Irma Voth, Toews delivers a witty novel of great humanity and emotional poignancy. Cast from her Mennonite family for marrying a Mexican man she barely knows, 19-year-old Irma finds herself in an untenable situation. But when a film crew arrives to document her insular community, Irma begins a remarkable journey to redemption and discovering all she may become.